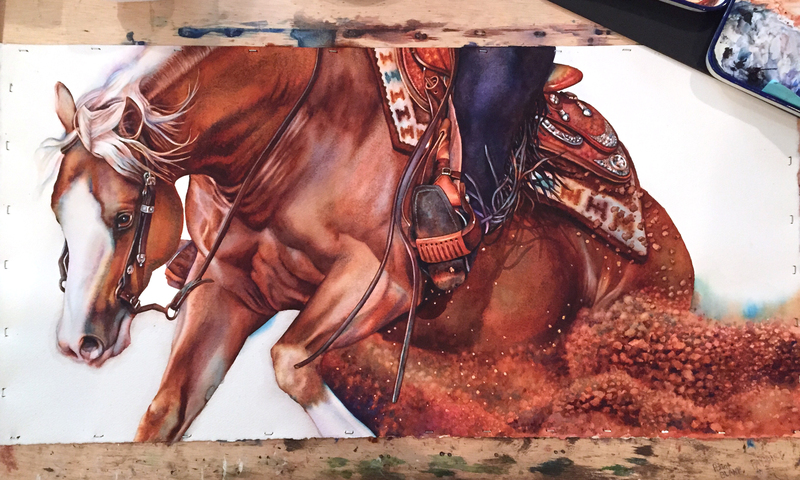 Having so much fun painting the dirt of this reining horse sliding into a stop. 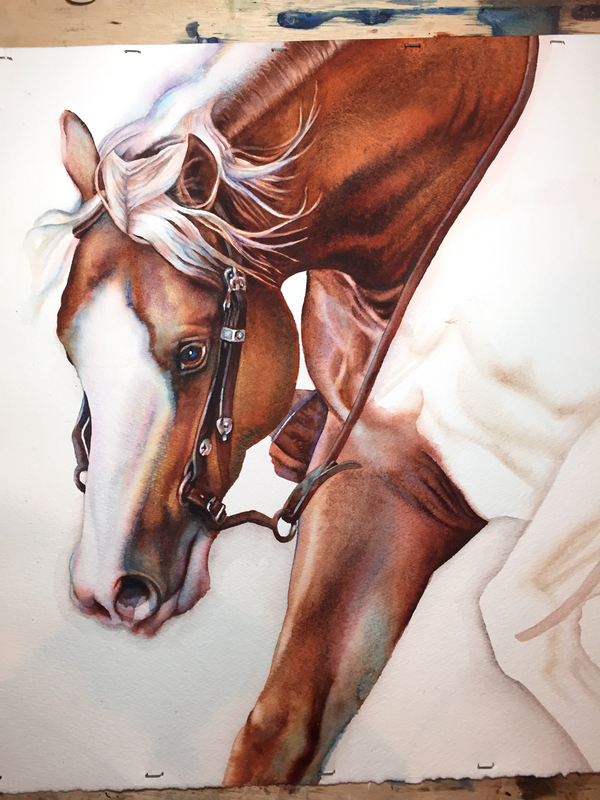 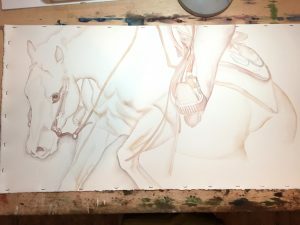 The background I’m thinking will be “Tiffany” blues – as I used this as an accent color over over the horse and in the dirt. 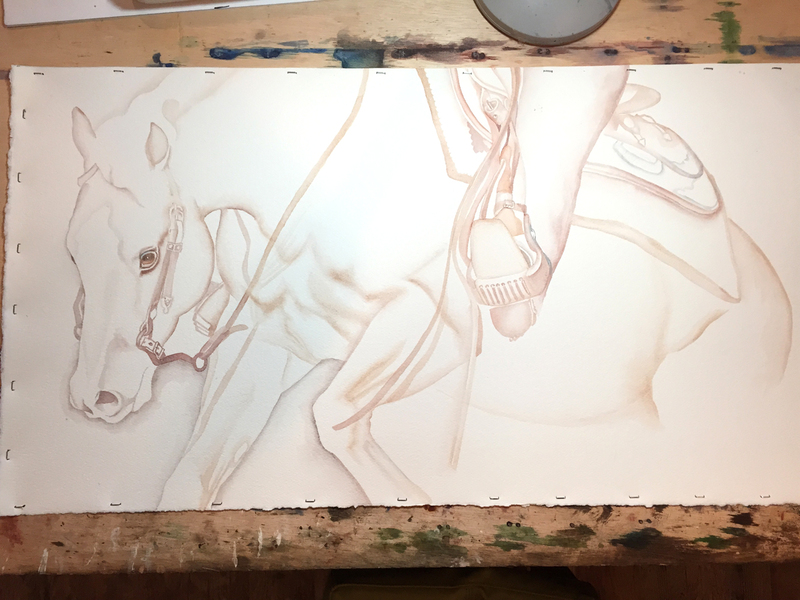 Pay Dirt work in progress – The underpainting is complete. 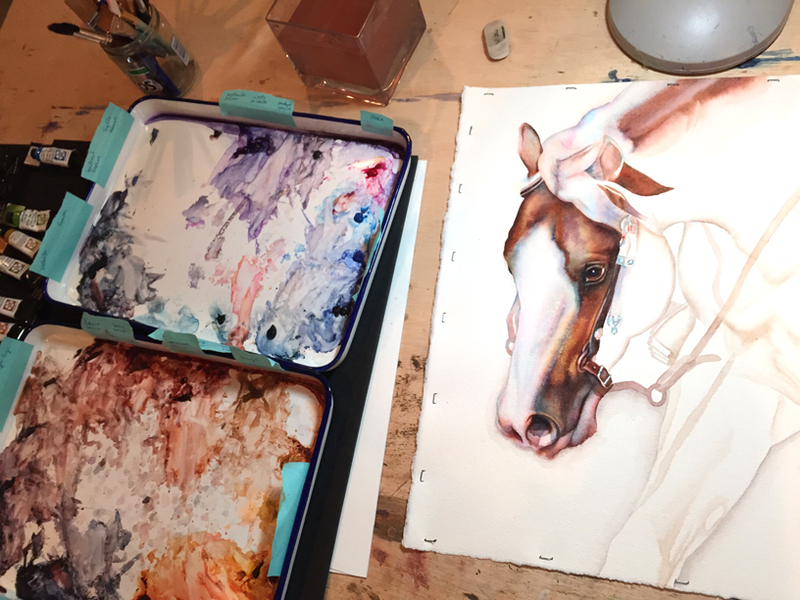 Pay Dirt work in progress – The head is finished.